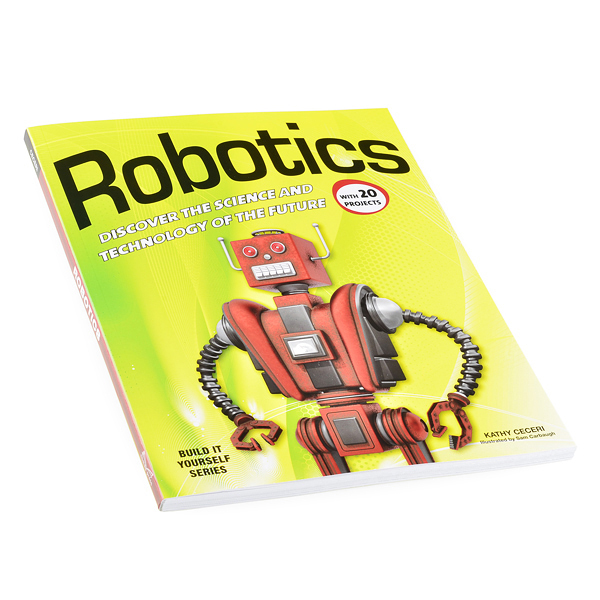 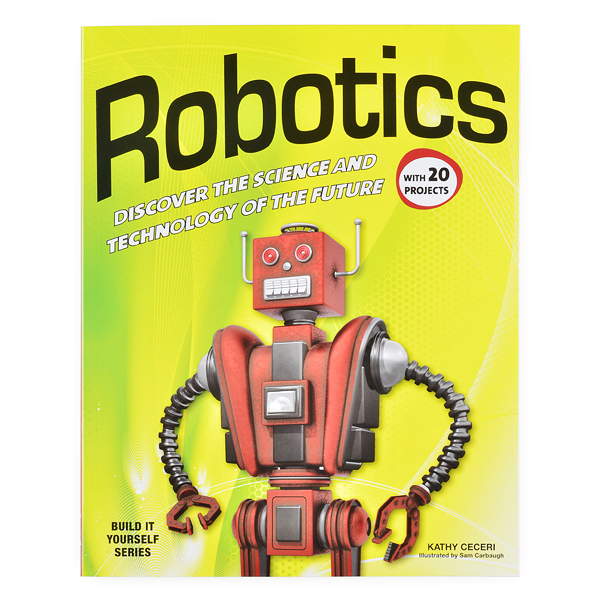 This fun and educational introduction to the exciting field of robotics (the science of designing, building, and operating robots) gives kids the basic tools for creating their own robots using ordinary craft materials and parts salvaged from recycled toys and other household devices. 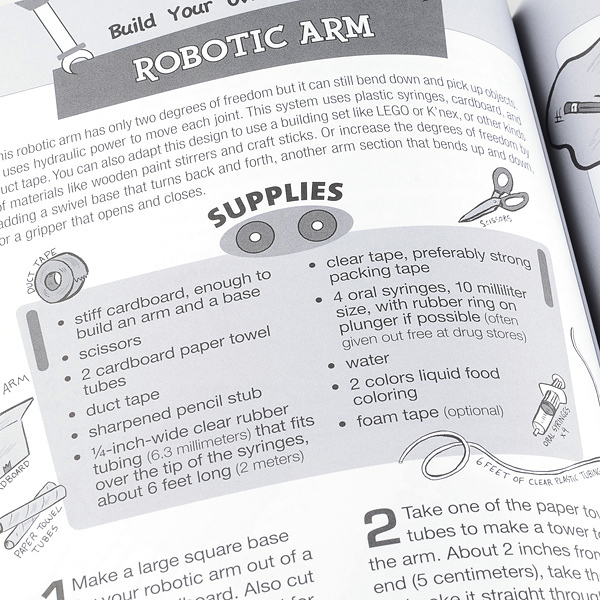 Early chapters teach budding roboticists how to create working models of robot hands and write “pencil and paper” computer programs, while later chapters show them how to build robots that move and react to light or touch. 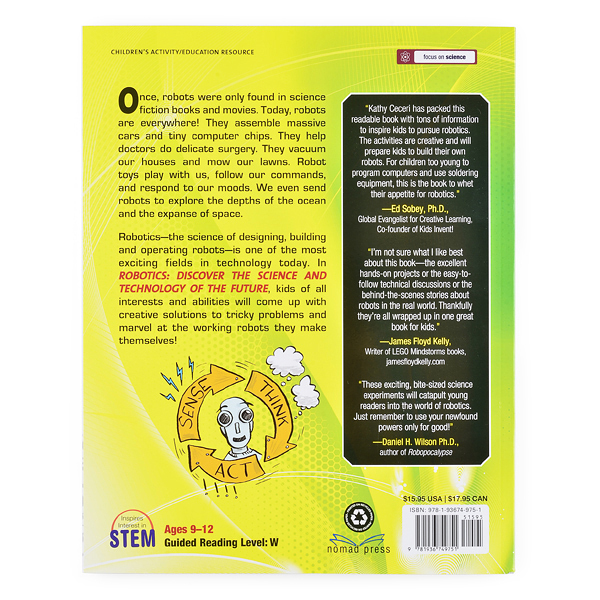 A great gateway to getting kids interested in STEM subjects (science, technology, engineering, and math), the activities in this book let kids use all their talents to come up with creative solutions to tricky problems and figure out how things work.